On Saturday, June 10, we celebrated the opening of the new Circle D Ranch. 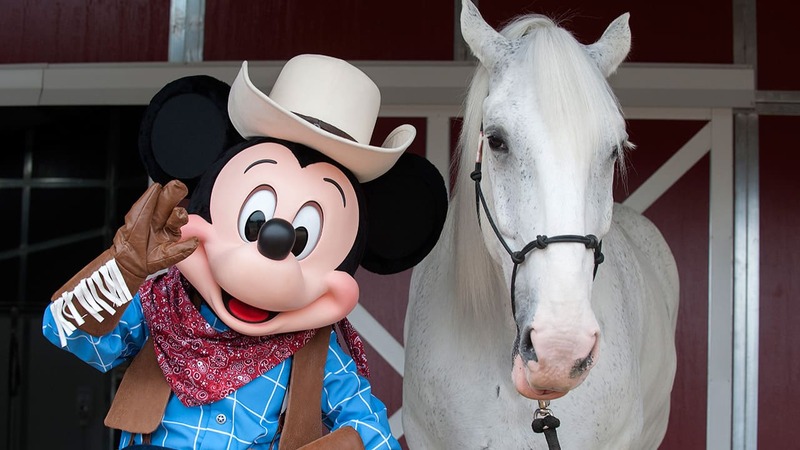 This 5.5-acre facility is the permanent home to the “Happiest Horses on Earth,” the horses of the Disneyland Resort. The ranch amenities include a state-of-the-art barn with comfortable stalls for each equine resident, a large exercise arena and turn-outs for the horses to “play” in. Disneyland Resort Ambassador Mikey Trujillo was the emcee for the opening festivities, which included a visit from Mickey Mouse and a ribbon-cutting ceremony led by Disneyland Resort Senior Vice President Mary Niven. Check out the video below for a look at the celebration! We would love to see your new facility. Is there a time when we could visit? Is the ranch open for visitors? If so, what are the dates and times it is open to the public? I’ll have to check it out sometime cause I love riding houses and the ranch makes it want to go back to Texas. Yee Haw!! Where is the new Circle D? Mickey’s outfit is very cute. Disneyland Resort Horses Appear in Horsetown Parade of Lights in Norco, Calif.